Wahoo!!! I did it! My first successful project is completed! I’d like to thank the Academy and God be because with Him all things are possible! And my Momma! I did the backstitch like the pattern called for and I hate it! It leaves this gnarly ridge. You can’t do that in a baby hat! Their soft heads will form right around that. Then you’ll have a a trench head baby. No one wants that. I’m making another one now just try a mattress stitch and see if that makes it better. This entry was posted in Uncategorized and tagged art, arts & crafts, crafts, cute, handmade, hat, Hobby, knits, Knitting. Bookmark the permalink. Thank you!!!! I’m beside myself with joy. I can’t wait to do more! What you need to do is give in to the siren song of knitting in the round. No seams, so no trench-head! 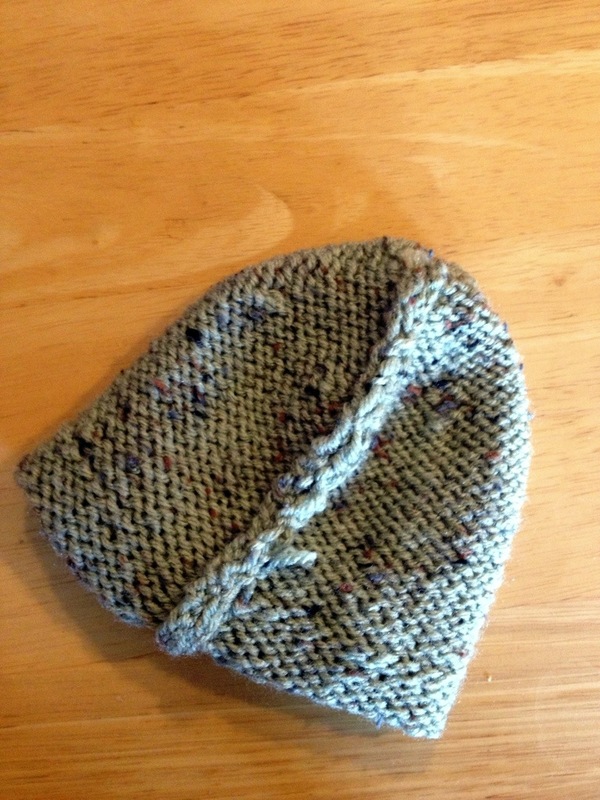 I make all my baby hats in the round, which also gives me more time to insist that people leave me alone, since the whole thing is ONE LONG ROW!!! (yo!). It’s so intimidating though! What if your stitches fall off? Should I start with socks and work my way up or is a hat best? I always have my students start big and work down to the smaller projects. 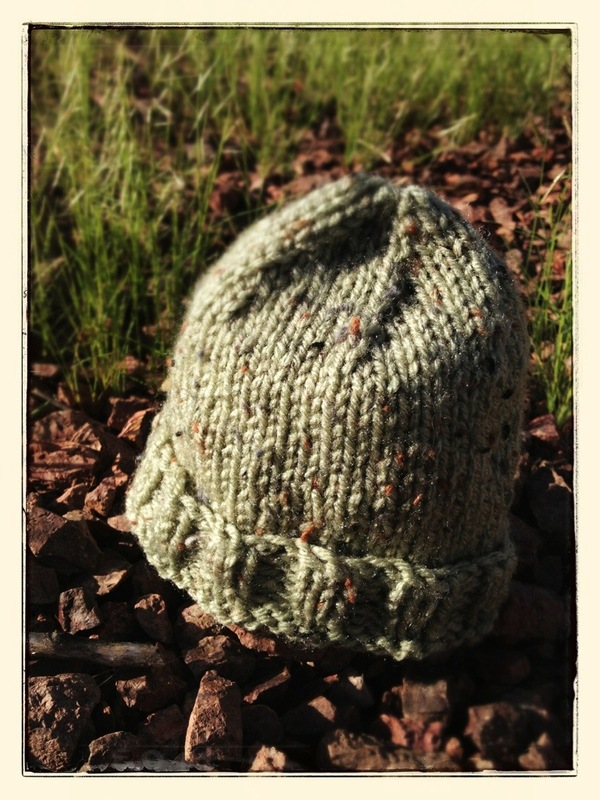 Bigger projects (like a hat) may be bulky but it is easier to see and track the stitches as you go. You’d be surprised, the stitches do tend to stay where you put them. Just make sure to get the right sized needles (the 6″ lengths are perfect for socks, but 8″ lengths are better for hats) and move slowly as you start out to get used to moving the hat around. And if you do drop a stitch, just knit around to it and use a crochet hook to pick it back up and get it back onto your needle. It’s all about practice: you can do it! That’s not a bad idea and I do love me some hats. There’s baby sweater I was going to try that is knit from the top down. Maybe I should take a step back and attack head gear first. THANKS!